The Marble Capital of the Philippines is honestly not one of our top picks when we were planning our next travel because it is not your usual quick getaway from Manila. Experiencing Romblon made us think it’s worth traveling the distance. Backpacking Romblon in 3 days and 2 nights? Yes, this is possible. 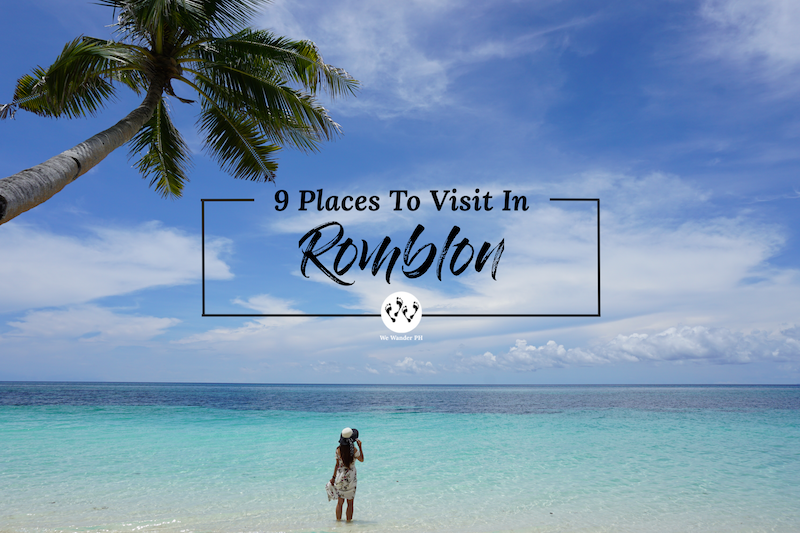 This guide will help you discover Romblon’s unspoiled tourist destinations. 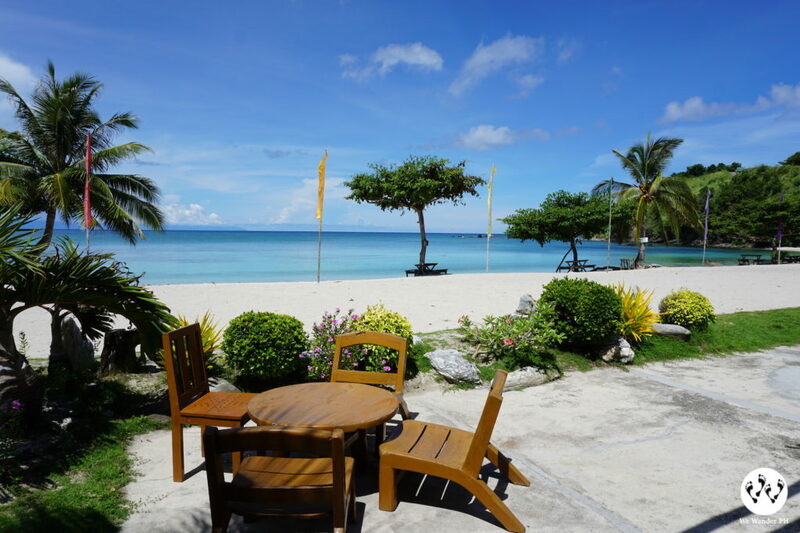 Spend a day in this small island known as Boracay’s sister island. Small but lots of beautiful places to brag. This is beyond expectation. Hambil Beach is jaw-dropping. As soon as we get off the boat of Port Said, we saw this long-stretched of white sand and it already captured our hearts. We can say this is unspoiled and uncrowded which is good for those who love to get away from congested places. The water is clear and a mix of blue and green. 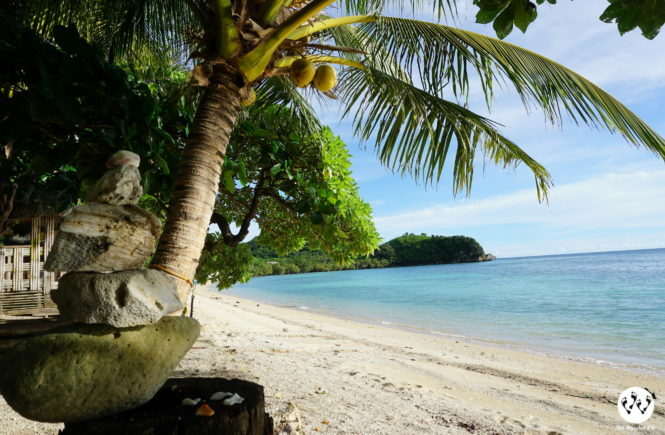 The number of coconut trees pinned along the shore added beautifully to its landscape. 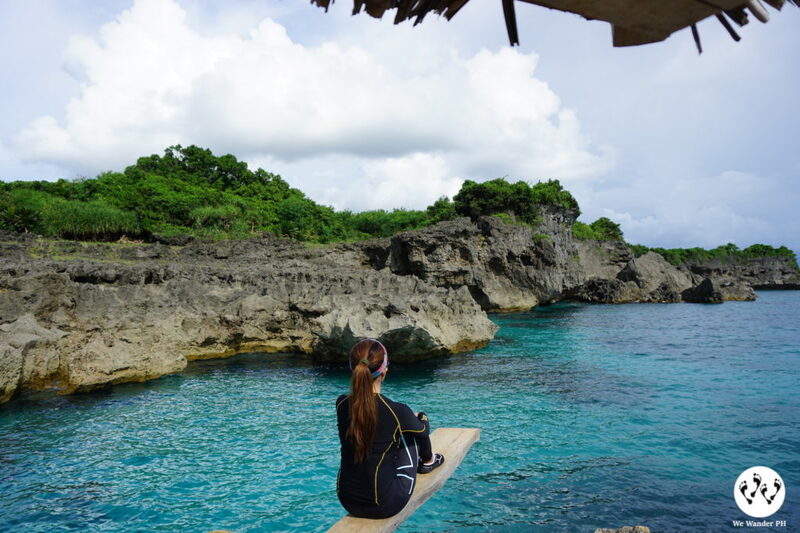 This is a must-visit cliff diving site in Carabao Island and should be included in your list. This is one of the places you can visit when you opt to have an island tour. The location of Kuding-Kuding Point is only accessible by riding a habal-habal/motorcycle. Aside from cliff diving, one of its attraction are the rock formations, caves and mini pool. The second stop of your island tour is Lanas Beach. We only had the chance to glance on this beach since it rained when we get there. Our tour guide told us that it is best to visit here when you plan to watch the sunset. 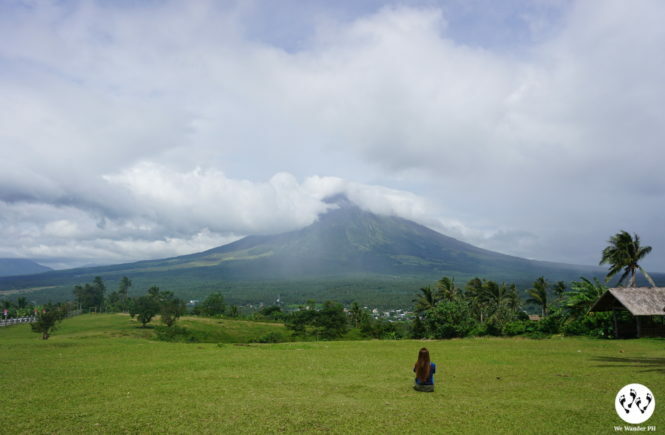 The name was actually copied from Tagaytay in Cavite because of its cool weather and high location. Tagaytay Viewpoint has a viewdeck where you can see the island of Boracay, Caticlan and Aklan. A place perfect to sip a hot coffee. There are hotels which offer fan rooms and air-conditioned rooms. Check the list of hotel and contact them in advance before your scheduled trip. There are local restaurants in the area that offer seafood, meat menu and snacks for a quick bite. Check Kusina sa Terraza, 5-13 Convenience Store or small carinderias for budget-friendly meals. At night, there are barbeques and the usual “ihaw-ihaw” street food. 1. Fly from Manila to Caticlan Airport. 2. From Caticlan Airport, ride a tricycle going to Tabon baybay. 2. From Batangas Pier, ride 2Go Travel going to Caticlan, Aklan. 2. From Caticlan port, ride a tricycle going to Tabon baybay. 1. Tricycle from Caticlan Airport to Tabon Baybay – P100 or less. If coming from Caticlan Port, tricycle fare should be not more than P50. 3. 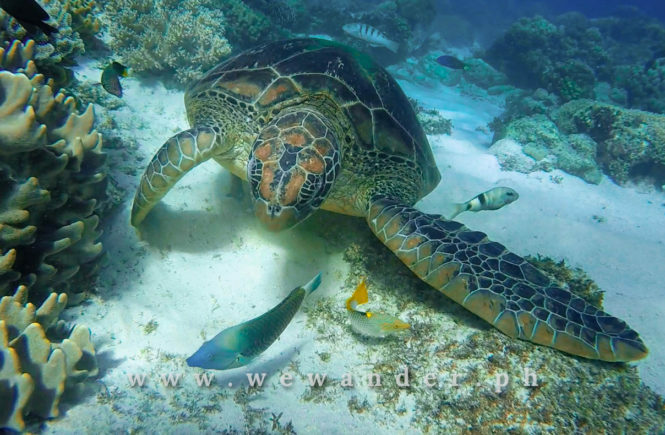 Habal-Habal ride for Island Tour ranges from P300 – P500. You may contact Kuya Edvir Panagsagan our habal-habal rider and island tour guide at 0927-2530200. The boat from Caticlan going to Port of Said is scheduled at 9am and 3pm daily. Try to get there earlier to secure your seat. Locals offer a “habal-habal” ride to tour the island. You can finish the island tour for half a day depending on how long you stay on each spot. Apply sun protection. Expect to be exposed to sunlight most of the time. Electricity in the Island is scheduled at 2pm – 6am only. Make sure to charge your batteries and gadgets. Some stores and eateries close early at night. Make sure to have your dinner earlier. To get to Tablas Island from Port of Said in Brgy. Poblacion of Carabao Island, ride a passenger boat to Santa Fe. It leaves at 6am daily. Fare is P100/person and may take 45 minutes to 1-hour. From Santa Fe, there are jeeps waiting heading to Odiongan. Ride this jeep and tell the driver to drop you off at Looc. Fare is P50/person and travel time is 1 hour. 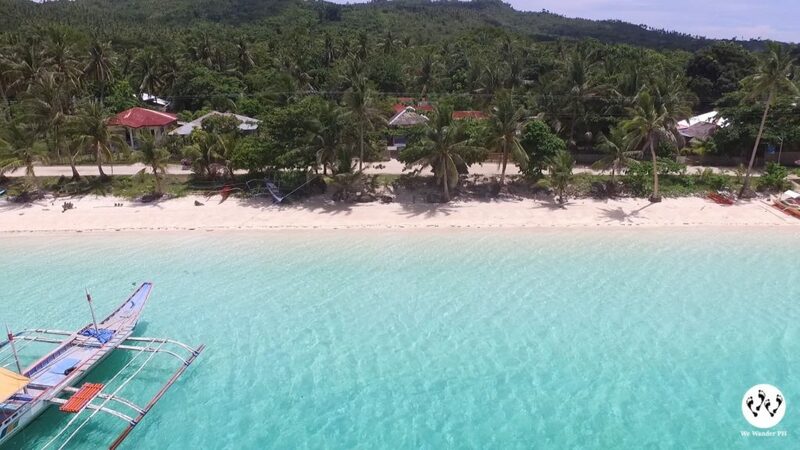 This is where we start our next destination in Tablas Island. 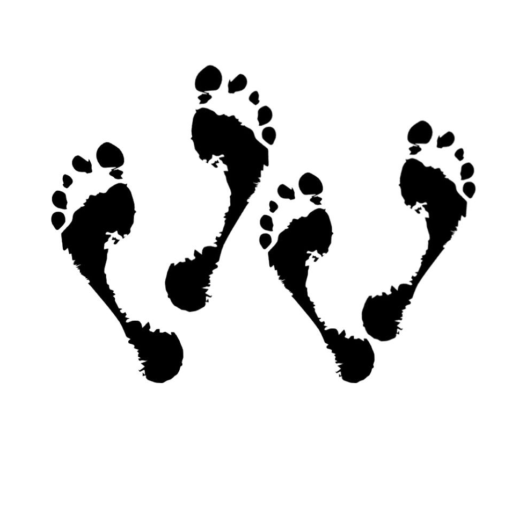 You may check in your bags to your desired hotel before heading to Looc Fish Sanctuary and other tourist destinations. 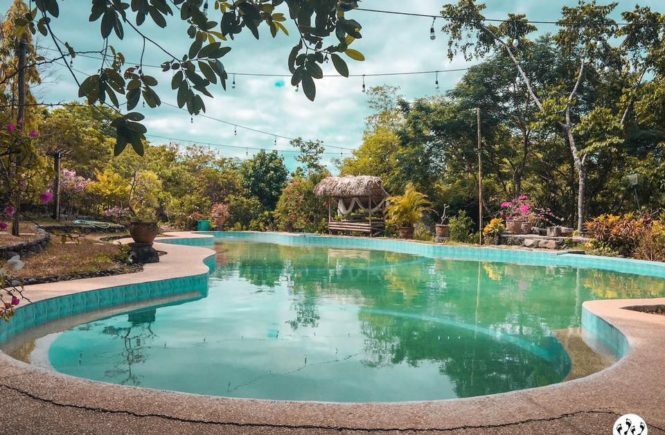 As soon as you arrive in Looc, you may visit Looc Fish Sanctuary. 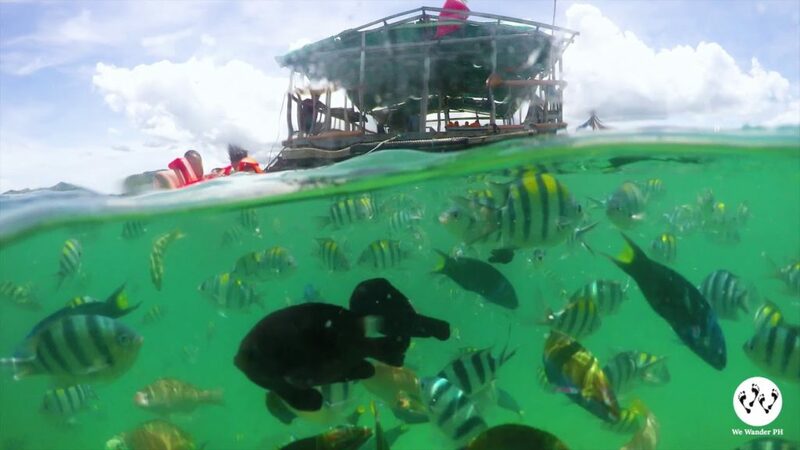 This is where you can do snorkeling, swimming, fish feeding and picnic in the floating hut. The activity is good for 1-hour for P100/head inclusive of boat ride from Looc port to Sanctuary and lifevest. 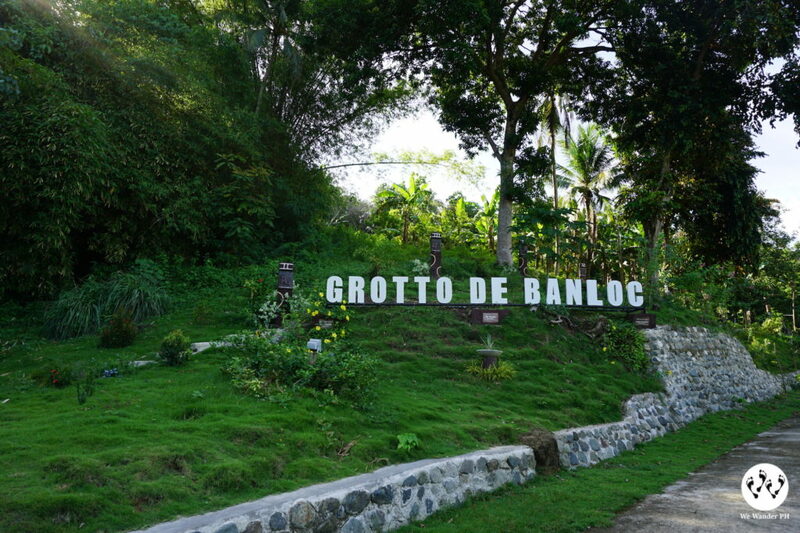 This is a pilgrimage site located in Sitio Sanggutan, Poblacion in Looc. You can drop by in this place for a quick prayer and check Romblon’s first and only Honesty Store. In Tablas Island, motorcycle is the fastest way to get to one destination of your choice to another. Travel time to Aglicay Beach Resort from Looc is 30-45 minutes. 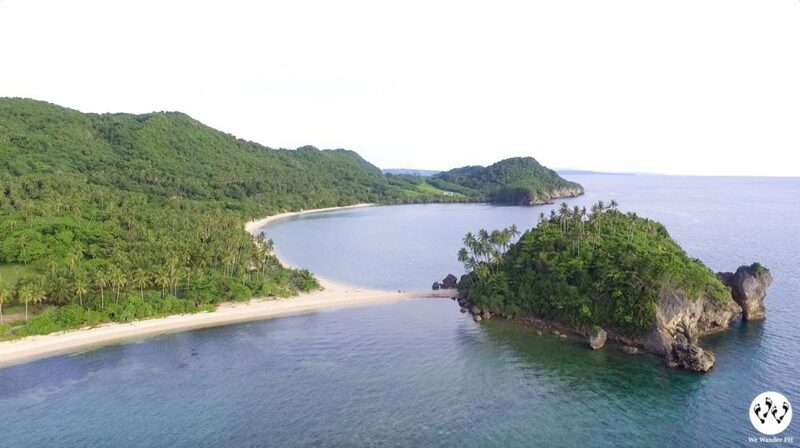 This beach is like most of Romblon’s beaches, white sand. The place is fully-developed and privately owned. There are numerous rooms and activities you can do in the resort. Do not forget to trek on top of the hills to see the overlooking view of Aglicay Beach. Binucot Beach is located in Ferrol. This is where you want to be when you’re looking for a perfect spot for sunset viewing. One of the attractions in Binucot is its twin beach with rough coral sands and boulder for instagram-meant post. At night, there is one place you should be at. 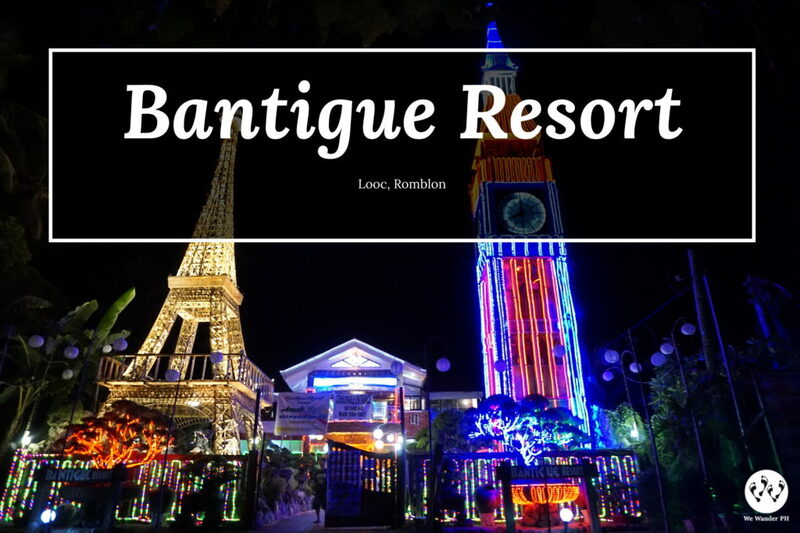 In Bantigue Resort in Looc, experience Paris and London at the same time. The place is inspired by Eiffel Tower and Big Ben, a Europe-like atmosphere. These replicas of famous landmarks are glowing and shining brightly at night which attract visitors and tourists. If you want to follow the itinerary, you may contact our motorcycle tour guide Kuya Fernan Gaa at 0907-0816196. The cheapest accommodation in the area is Angelique Inn. They have fan rooms which cost P400 only! Patok sa Bagto is a floating restaurant in Looc that you should not miss. They offer reasonably priced meals which includes seafood and rice meals. Our third day in Romblon is scheduled for buying of souvenirs and travel going back to Manila. We decided to take the 6-hours travel time thru 2go in Odiongan Port. From Looc town proper, there are scheduled trip of jeepneys going to Odiongan public market. The earliest trip is at 5am-6am and travel time is 1-hour. You may expect some delays as the jeepneys will halt every now and then to unload and load passengers along the way. The jeepney will take you to Odiongan public market, their last stop and you would need to ride a tricycle to get to Odiongan Port. Fare is around P100 and may take 15-20 minutes bumpy ride. There are two major RoRo boats scheduled trips from Odiongan to Batangas Pier. These are Montenegro Shipping Lines and 2go Travel. We bought our “pasalubong” in Odiongan Port. There are marble-crafted products, refrigerator magnets, keychains, banana chips, special “kakanin” and many others. 2go Travel includes lunch and an air-conditioned rooms with clean and comfortable beds and cable TV. You won’t noticed the 6-hours travel during the boat ride. Thank’s for visiting our province. I’ll surely share this to my office mates to visit this summer. Please do visit CABALI-AN BEACH POINT in Brgy, Agmanic,Sta. Fe,Romblon soon. Thank you! The province of Romblon is really beautiful. Noted for Cabali-an Beach Point. Will check that!